Pacific City, Oregon (November 22, 2016)—A toast to Belgian beer accolades! Pelican Brewing Company has received bronze medals for its multi-decorated Tsunami Export Stout and its new Udder Tugger milk stout at the Brussels Beer Challenge—an international beer competition in Belgium providing a unique opportunity for beer producers to compete with the best international and Belgian brewers. A tasting panel of 75 internationally-renowned beer connoisseurs tasted 1,100 beers from all over the world. 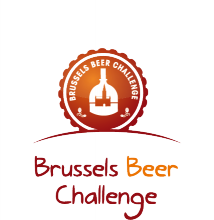 The participating beers were divided into categories based on origin, type and style and then evaluated with the best beers in each category winning gold, silver and bronze awards. Like the force of nature for which it is named Tsunami Stout—now a 42-time medalist—delivers a blast with its black color and dark seductive aroma. Roasted malts and unmalted barley give this full-bodied brew its dense creamy head and distinct dark chocolate and cappuccino flavors that swell to a clean, rounded malty finish. Ingredients include pale ale malt, flaked barley, chocolate malt, Black Patent malt, roasted barley, Magnum hops, Willamette hops, pure local water and pure all yeast. A new beer in the Lone Pelican small batch series, Udder Tugger milk stout, also won bronze. Brewed with lactose and debittered black malt, Udder Tugger has a deep black color with long-lasting tan foam. Aromas reminiscent of baker’s cocoa and toffee-like caramel combine with a slight herbal hop character. A soft roast flavor furthers the dark chocolate impression and leads to a slightly sweet finish. Pelican was born at the beach 20 years ago as a small, stand alone brewpub in a small town on the Oregon coast—Pacific City. Pacific City is still a small town, but with consistent growth and demand for its products, Pelican sales are up more than 500% from 3,500 barrels in 2013 to 18,000 barrels this year. The company recently doubled its brewing and bottling capacity at its Tillamook facility and opened a new brewpub in Cannon Beach. Pelican also recently won a bronze medal at the World Brew Cup℠ and eight medals including Champion Medium International Brewery at the Australian International Beer Awards. Pelican Brewing Company was founded in 1996 by Jeff Schons and Mary Jones in Pacific City with Oregon’s only oceanfront brewpub. Celebrating its 20th year, the brewing company has created masterpieces like Kiwanda Cream Ale, India Pelican Ale, MacPelican’s Scottish Ale, Tsunami Stout and Doryman’s Dark. With the vision, creativity and brewing expertise of founding brewmaster Darron Welch, Pelican Brewing has won over 300 awards including the 2014 World Beer Cup© Champion Small Brewing Company and Brewmaster of the Year. Pelican Brewing currently distributes 22oz bottles, 12oz bottles in 6-packs, a new mixed 12-pack, and 50 liter and 20 liter kegs via a network of distributors in Oregon, Washington, Idaho, Nevada, Utah, Hawaii and Vermont. The company operates brewing and brewpub facilities in Pacific City, Tillamook and Cannon Beach.